Next Sew-In: September 18th - Thursday, from 5:00pm - 9:00pm. More details below. Book your space! Next Meeting Swap: SUPER SECRET STALKER SWAP. More details below. Pink Castle is moving mid September. New location is behind Big George’s on Stadium. 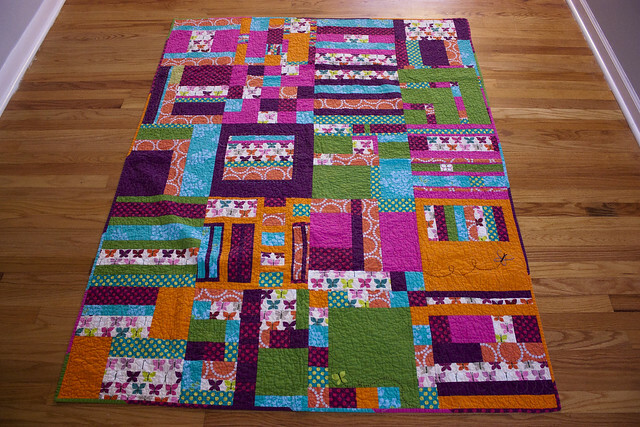 Review the crayon challenge quilts challenge: projects due at the November meeting and more details here. Hand Applique Club: Second Wednesday at Panera Bread on Eisenhaur at 6:30pm. Bring your hand-sewing! National MQG board elections: Rossie took the floor for a few minutes. MQG has asked her to gather ideas about the upcoming elections. Secret Stalker Swap Sign Ups! : Those who wanted to participate drew a name of another participant - keep it secret, keep it safe! 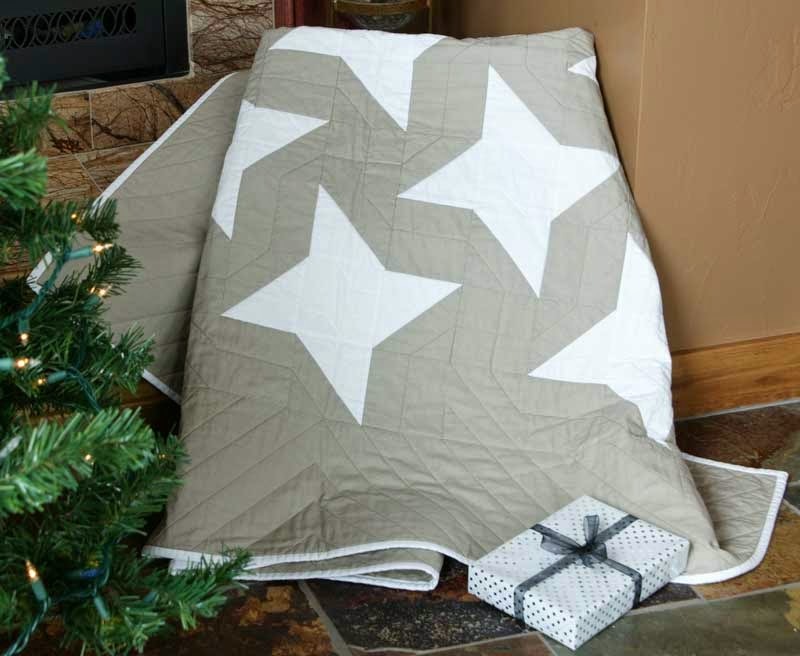 Make a mini quilt, make a friend! Learn what your friend likes by looking at their social media activity, or just by observing what they like! 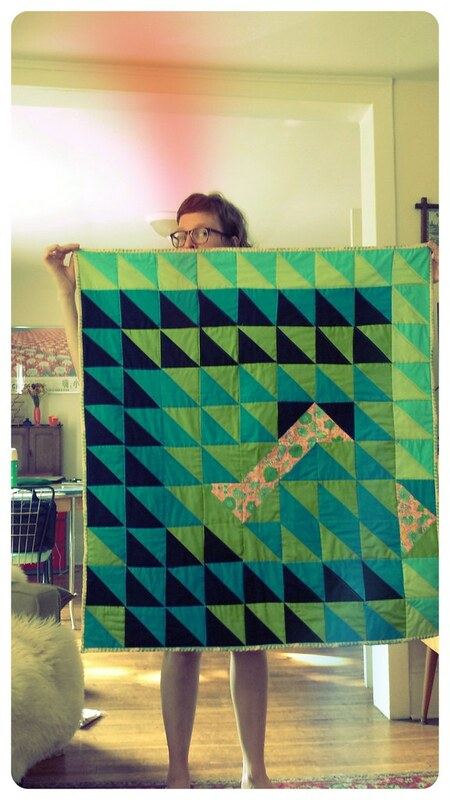 Mini quilts should be no smaller than a mug rug, and no bigger than 24" on the longest side. Bring finished projects to the October meeting. Possible new locations for our meetings. 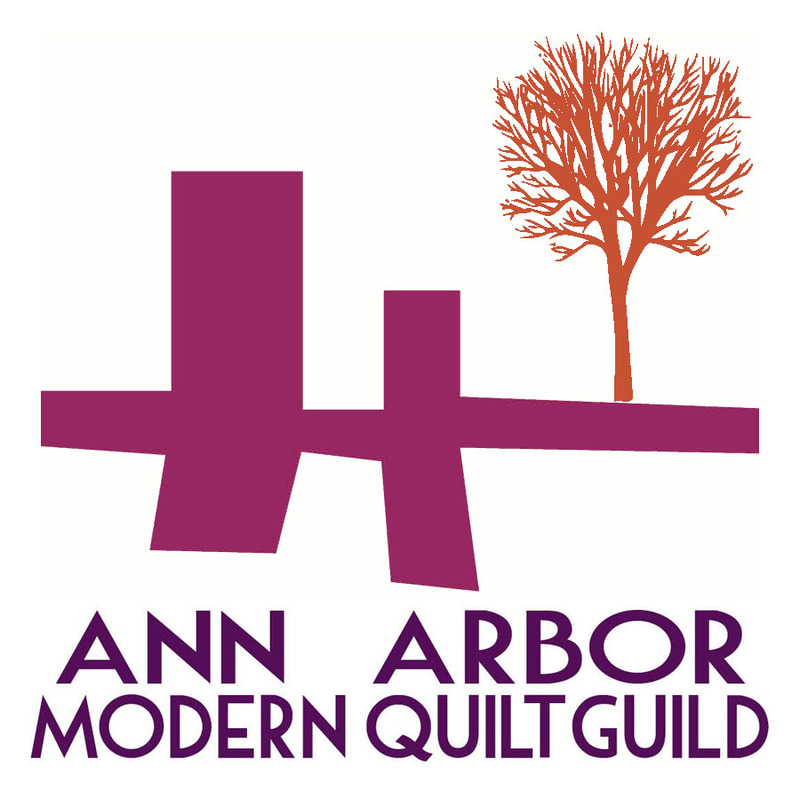 Ann D. offered to look into the Ann Arbor Rec and Ed. Laura recommended a location in downtown Ann Arbor. The Menlo building. Jackie mentioned a school in Saline that might host us for $50 a year. Sew-Ins: We've had low turn-out, how can we make it better? We will also continue to do all-day sew-ins - maybe every other month or every third month. Next all-day sew-in date to be determined. Member Profile: Jackie Mills: Next month Kathy! Round Robin: Hayley became a quilt angel and is working on Stephanie's quilt even though she doesn't even have one in the mix! What an angel. Weekly Round up for August 31, 2014! Love the use of color and value! Hope everyone is enjoying the last weekend of summer! There is a meeting on Wednesday, August 27 at 6:30pm at Pink Castle Fabrics. 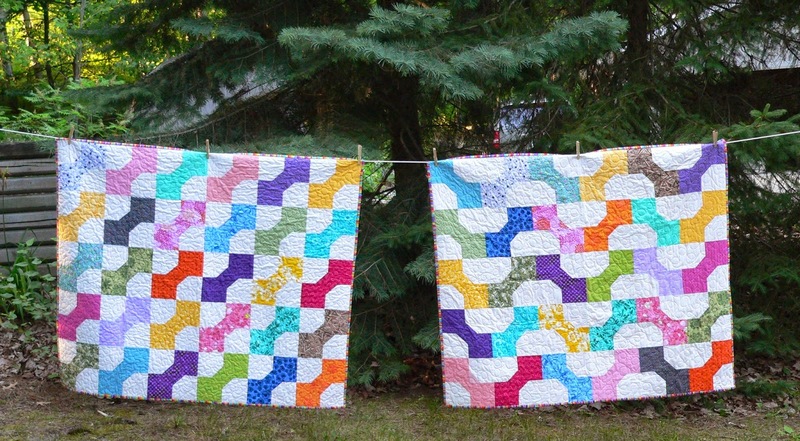 If you want to participate in this month's swap, please bring two fat quarters of modern quilting cotton, unwrapped. We hope you've been thinking about running for a position on the board!At this meeting we will be telling Dorie if you want to participate in the Super Stalker Swap. Another thing! 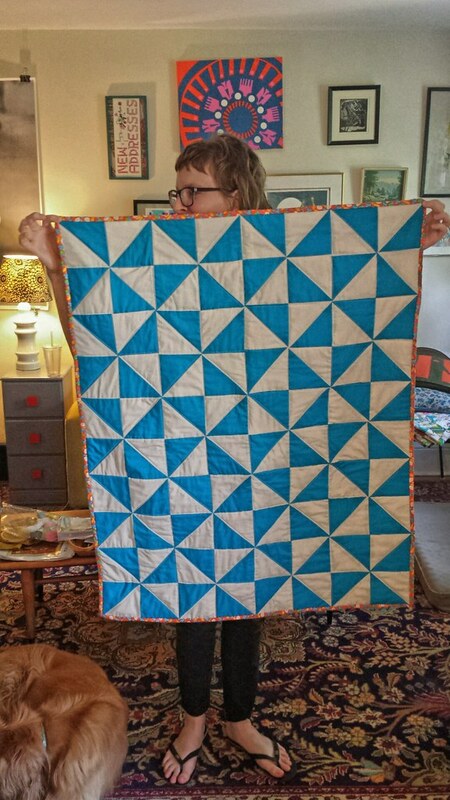 Did you see this blog post from the mother ship about the QuiltCon Charity Challenge?! Anyone who'd like to participate should plan on staying after the meeting for a five minute organizational chat. Bring a chair and book your space! 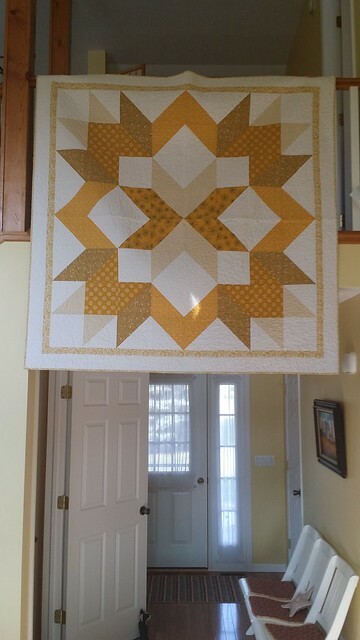 Love the quilting on this! 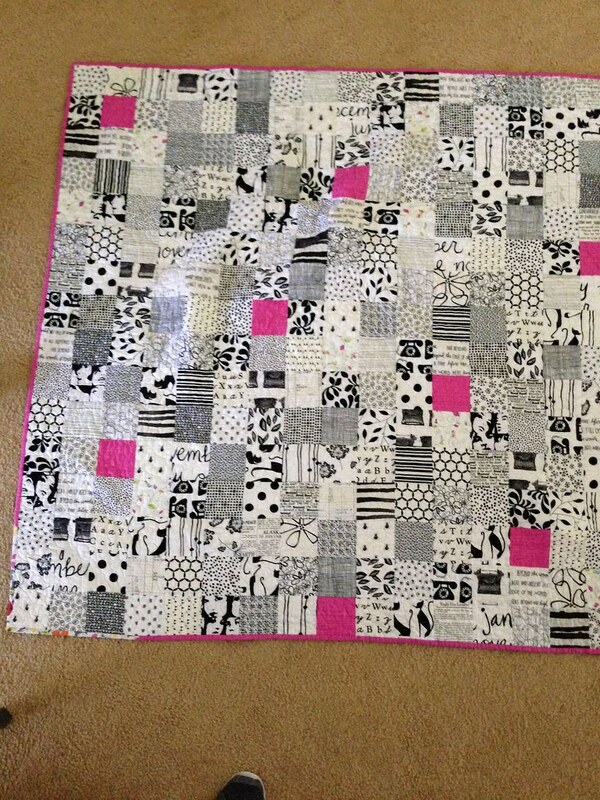 Rossie has a post showing the Greek Plus Puss blocks and quilts put together by her pattern testers. It is going to be displayed at the International Quilt Show’s Modern Quilt Guild showcase in Houston! Congratulations, Jenna! 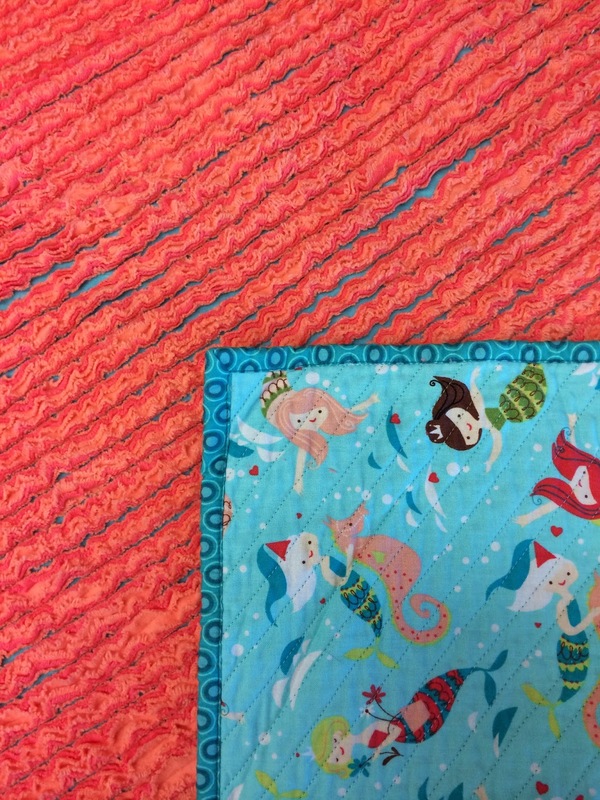 Pam has made a chenille baby blanket, and has a tutorial on glue basting binding. Very interesting! I've heard a lot of good things about this technique! These colors are very fun! 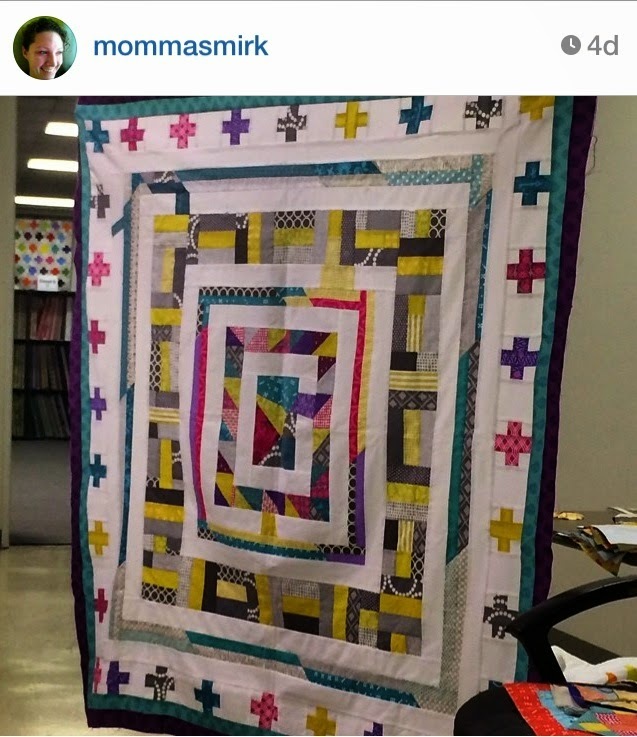 She's also starting a double gauze quilt, and has a post showing pictures of her recent travels abroad. Kathy K has been working on Violet Craft's forest abstraction paper pieced animals. Here's her bunny! Lynn has been making shirts. Debbie has a new ironing surface! Don't forget we have a sew in tomorrow at Pink Castle Fabrics! Amy made a mention at our last meeting (and the one before that) to please double check that if you have a blog, it is on our blogroll. You can see our member's blogs listed to the right on your screen. Our weekly round-up is a great part of keeping in touch with each other and showing everyone else our tremendous work! Take a moment to update your blog or our flickr group when you get the chance. 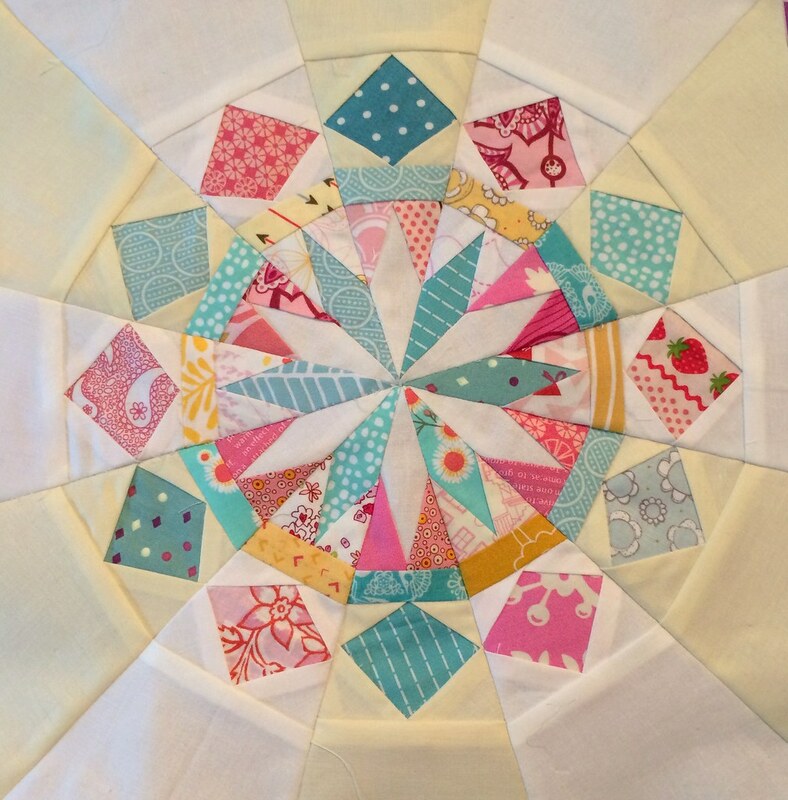 Stephanie's beautiful Round Robin quilt. Next Sew-In: August 10 from 12 - 4pm. Book your space! Next Meeting: August 27 at 6:30pm. Book your space! This meeting will take place at our normal Pink Castle Fabrics location. 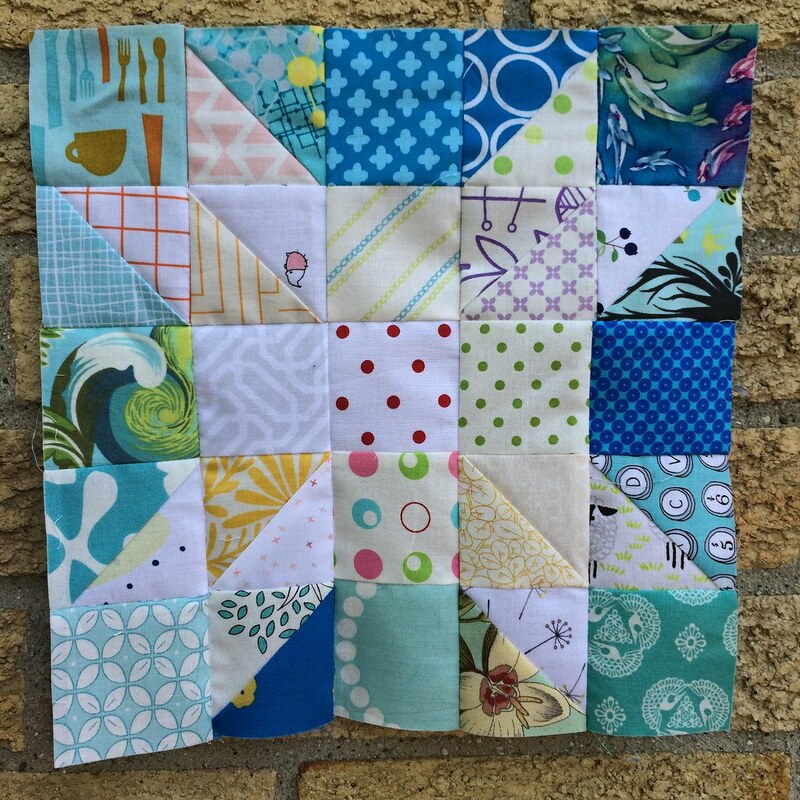 Next Meeting Swap: Bring two fat quarters, unwrapped, for a fun swap! See below for an additional note about upcoming swaps. Jenna filled in as Vice President of Membership for Rossie. Summer Retreat: Thanks to Ginia for organizing! GAAQG SHOW: Thanks to Pam and our committee for organizing a great show! 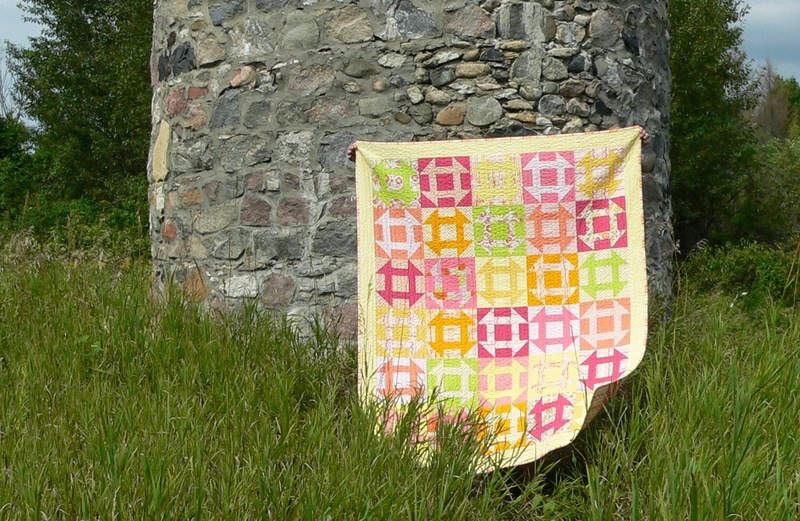 An idea that we should include our blog information in our blurbs next to the quilts. Rossie wrote a great blog post about the show. 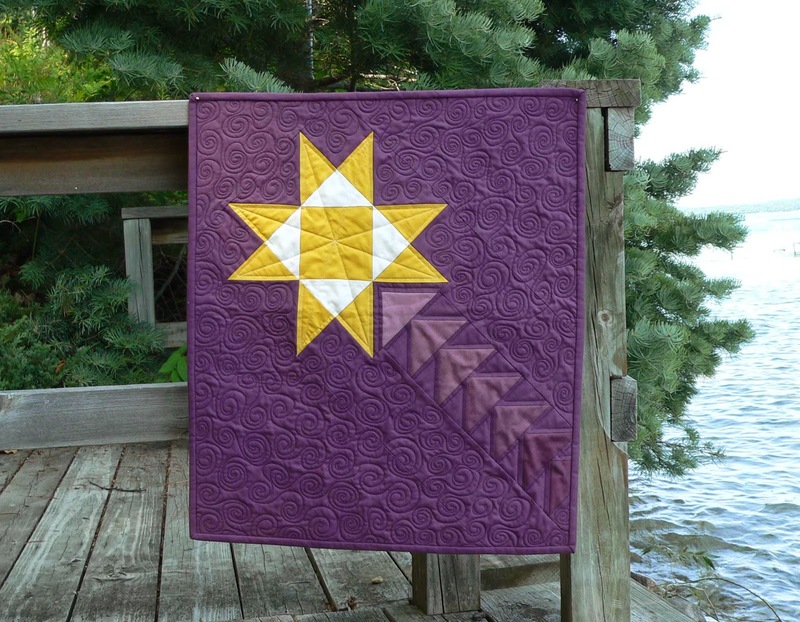 QuiltCon: Added new night classes for those who would like to add classes to their agenda. Pink Castle is moving September. New location is behind Big George’s on Stadium. We will have the location in August and there will be room for meetings for now but we are growing and will need a bigger space soon. Suggestions and ideas welcome. Next month’s meeting will be here. Jenna will ask Wolverine Brewery if there's a chance we could use the back room for our meetings. It may be too loud. They may charge us. We will soon need to elect officers. Although some of our officers are running again, others including our President, Vice President of Membership, and Secretary are not planning on running. Please consider volunteering to fill these positions! Our guild needs you! Crayon Challenge: We are doing a quilt challenge for our guild! Pick a crayon from a box at random. Make a quilt, at least 8" x 10", using just the shades of this color*. You can also use white, grey, and black. You may use patterned fabrics, but they have to stay within these color limitations. 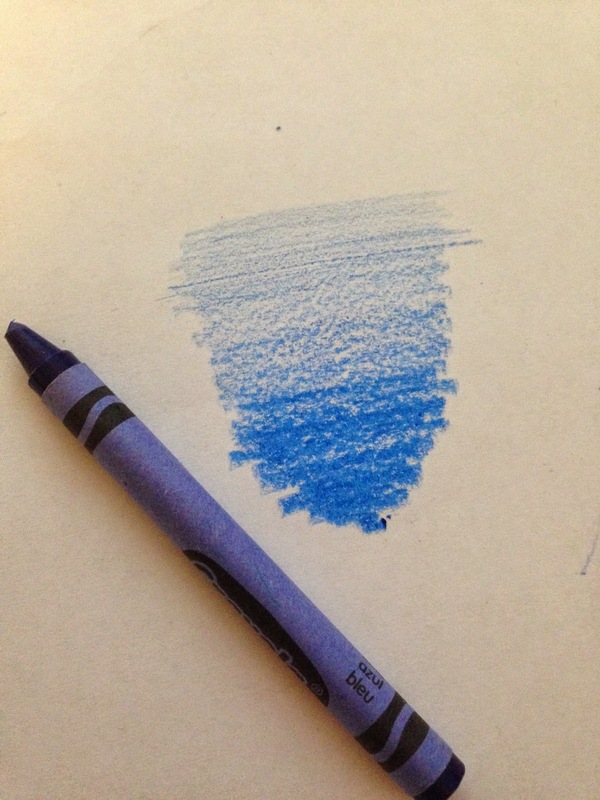 *To understand the spectrum of your crayon color, draw on a piece of paper using very light pressure and increase pressure until you see the crayon's darkest shade. Quilts are due at the November meeting. 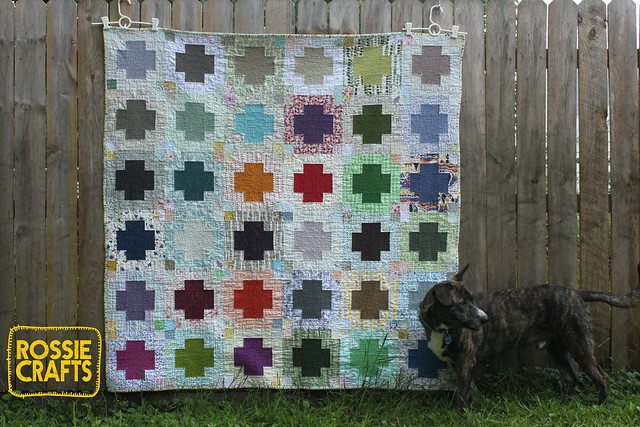 We will have a guild's choice winner, where our guild will vote on quilts through an email survey. 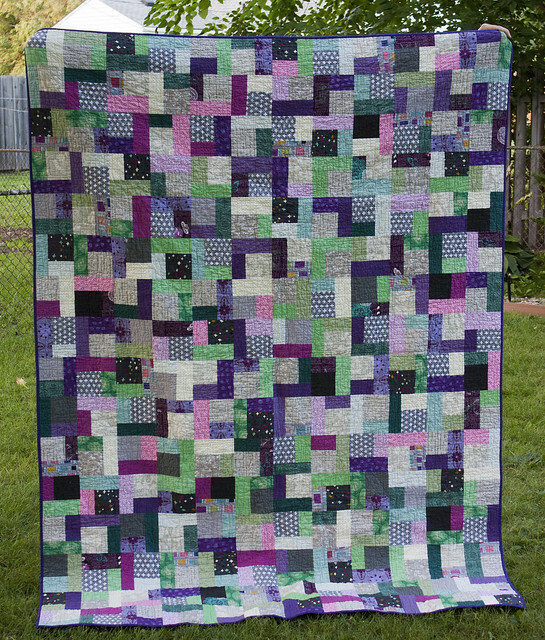 Those who want to enter a quilt should bring a fat-quarter to enter into the prize pile. Winner takes all. 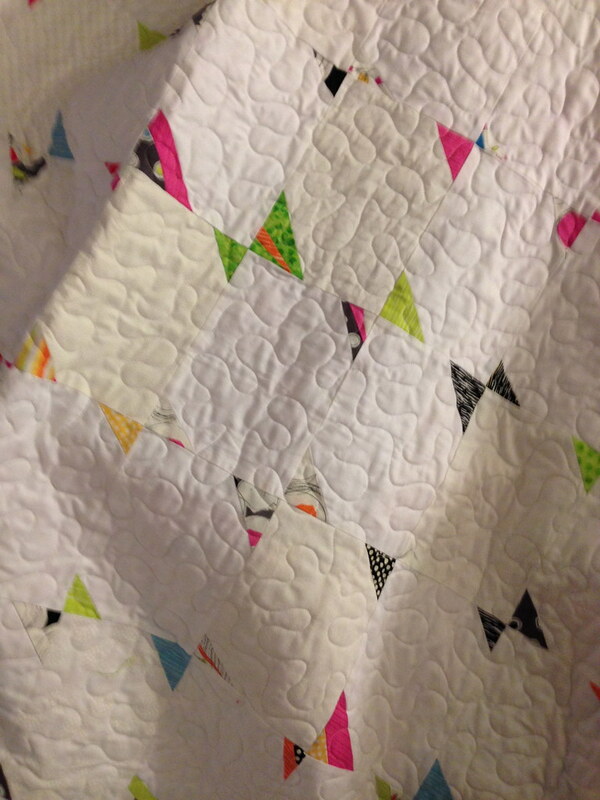 Andie Johnson Trunk Show: Thanks so much, Andie! We really enjoyed looking at your quilts and learning more about your book, Modern Designs for Classic Quilts. 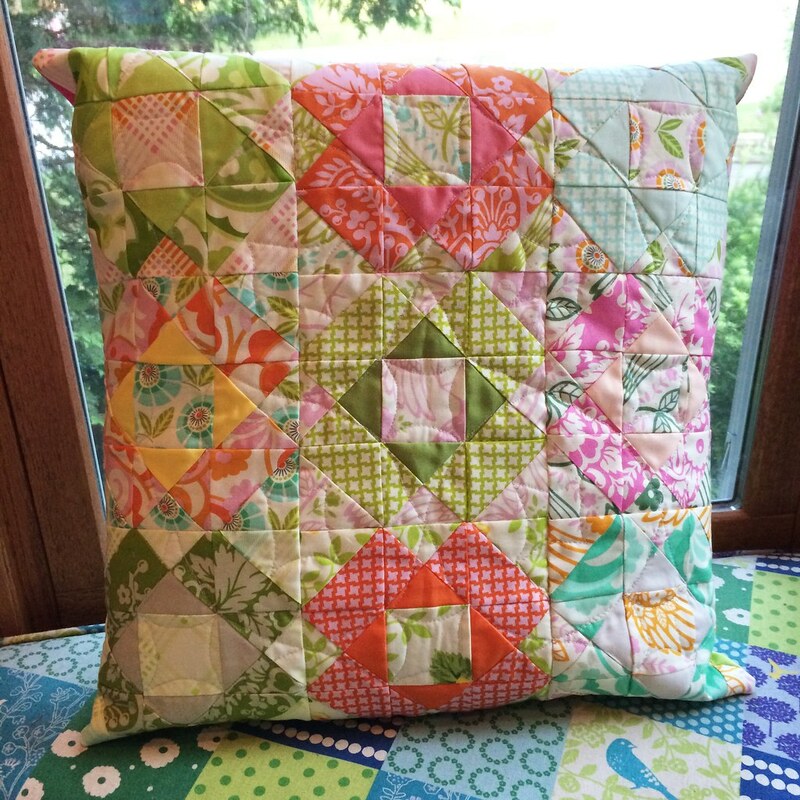 Round Robin: Consider adding a new quilt block or sack of fabrics into the mix! We are running low on Robin-ers. Swap: We did a block lottery and Kathy won! Look at the awesome blocks she's going to take home! At our next meeting, please think about if you would like to participate in an upcoming Super Stalker Swap. Either at the meeting, or by sending Dorie an email before the meeting, participant names will be collected to be assigned at the September meeting. This is a very fun project and it's a great way to get closer to a fellow member! Learn more about the swaps here.